Hello! As it’s a rather gloomy Sunday up North, I thought I’d mentally start building my spring wardrobe. 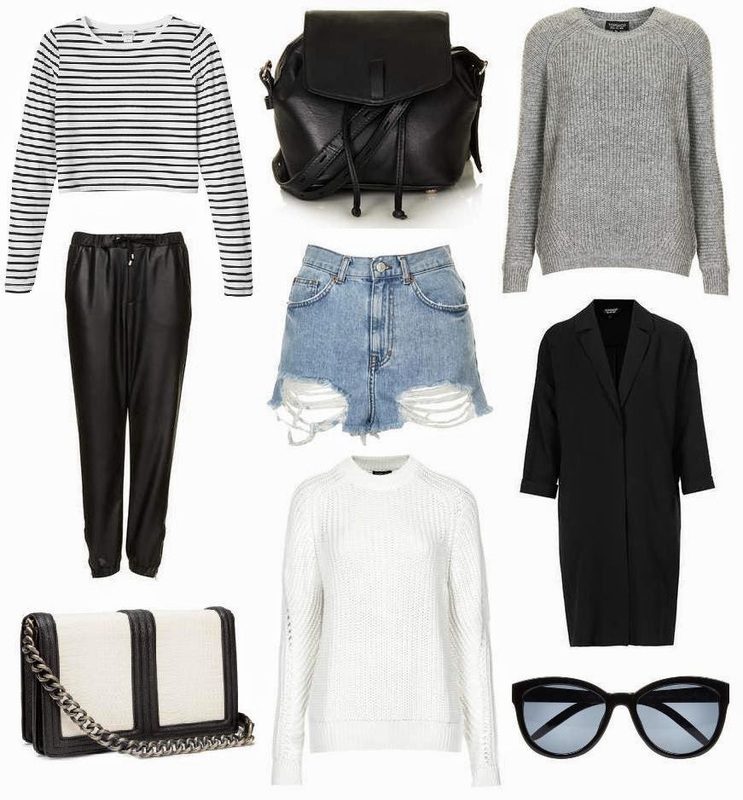 I will always love monochrome outfits, so the above make for some great staple pieces. Stand out’s for me are the perfect ripped shorts, the high neck on that white jumper and the perfect grey hue on the other chunky knit. I think I’m definitely gonna get my mitts on the sunglasses too, as they remind me of the perfect cat eye Stella McCartney ones I’ve wanted for such a long time, but are a steal at £13! What are you coveting for Spring? Let me know in the comments.